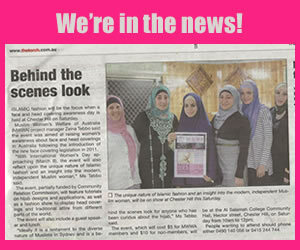 The Muslim Women’s Welfare of Australia, MWWA has the pleasure to invite you to attend the upcoming exhibition titled Racism Stops with me. 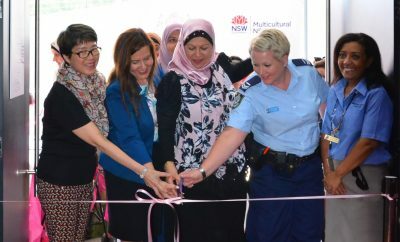 The formal exhibition has been put in place to showcase the talents and contributions that young Muslim members of the community, as well as broader Muslim individuals, have brought to Australia to make it the land of diversity that it is. The campaign highlights that young Muslim individuals should disregard the racism that may be directed at them in the public and stand up to say that Racism has no place in Australia. 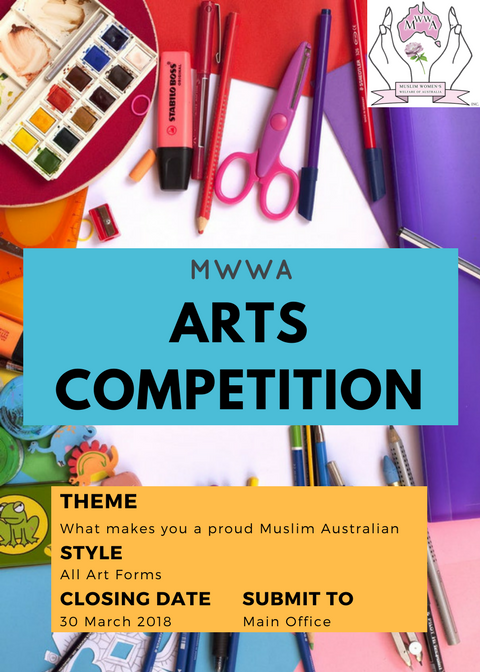 To do this, the MWWA has invited members of the community to participate in a competition to use art as a form of self-expression to comment on what makes them a proud Muslim Australian. Through this, the event aims to highlight that each individual is unique in their race, and their cultural traditions. The artworks and expressive pieces will recognise the value of the youth in our communities and encourage them to be proud of who they are. The event will be made up of a formal portrayal of key aspects of the campaign Racism Stops with me, followed by a walk-through expo showcasing the artworks that were submitted by the youth. The expo will also be made up of stalls with Islamic wear, items for pilgrims to use in upcoming Hajj trips, cultural props and décor items as well as an informative display of the historical figures that form part of the Islamic success story. Do you have an artistic flair, that you’re just waiting to share? Can you draw? Or maybe paint? Or is graphic design the way you express yourself? 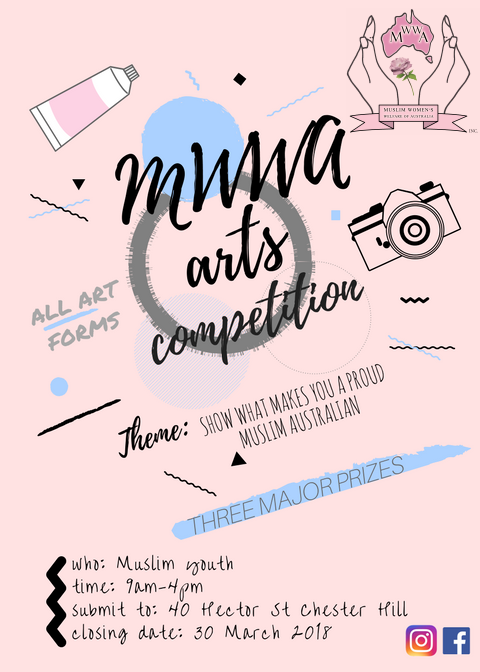 Regardless of which style you choose, the Muslim Women’s Welfare of Australia is calling on Muslim youth to participate in its upcoming Arts Competition. 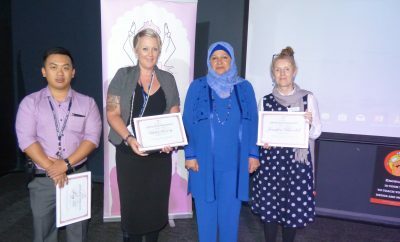 The task is a simple one, produce an artwork that reflects what makes you a proud Muslim Australian. Three Major prizes will be awarded to those who produce the artworks that best meet the criteria set out by the judging panel. Information about the criteria and competition can also be found on the MWWA Instagram pages or visit mwwa.org.au. Final submissions will be accepted at 40 Hector Street Chester Hill between 9 am – 4 pm until Friday the 22th of June 2018. Be sure to include your full name and a contact number on the back of the artwork. Good luck! Aesthetic quality-design, composition. Colour/ tones. Professional quality- neatness and craft.